Make the most of your car ownership with Volvo accessories. 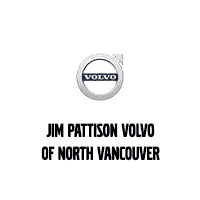 At Jim Pattison Volvo of North Vancouver, we ensure the longevity of your Volvo with accessories designed to protect both you and your car. Wherever you go this winter in a Roof box, designed by Volvo Cars. This 350L-volume roof box is engineered to integrate seamlessly onto your Volvo’s load carriers and can carry up to six pairs of skis and up to four snowboards. Renew your Volvo On Call subscription.